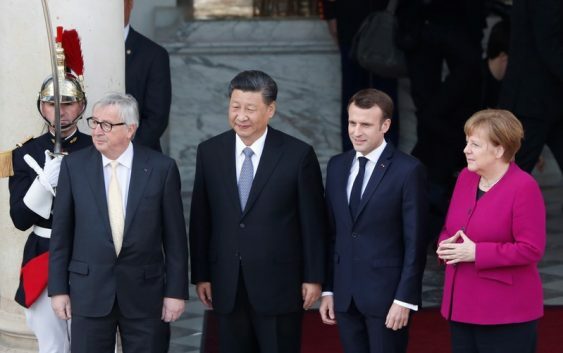 PARIS (Reuters) – French President Emmanuel Macron on Tuesday said competition between the European Union and China must not lead to a breakdown in world trade systems or political isolationism, as his Chinese counterpart promised to work side-by-side with Europe. 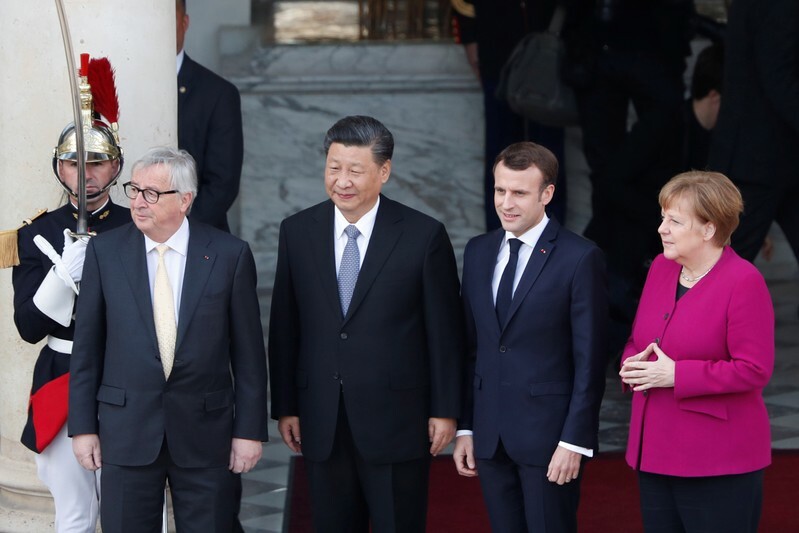 Macron, who invited German Chancellor Angela Merkel and European Commission President Jean-Claude Juncker to talks with Xi Jinping in Paris, said he wanted to build a fairer, more balanced multilateral trade framework with China. “We must show through actions that cooperation brings more than confrontation and that we have more to win through openness than through closing doors,” Macron said. The French leader has sought to forge a united European front to confront Chinese advances in trade and technology and foster a more balanced relationship with Beijing, and called on Tuesday for a partnership with China built on trust. Xi sought to reassure Macron, saying cooperation was the main trend in the Sino-European relationship, even if the two sides had their differences and there was competition between the two. Merkel said Europe wanted to play an active part in China’s Belt and Road initiative, but that it must lead to more trade reciprocity.